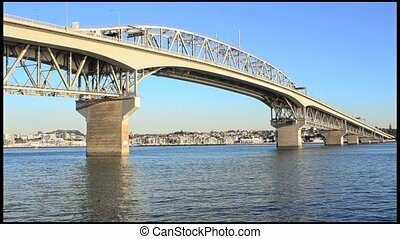 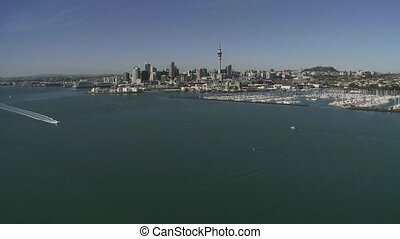 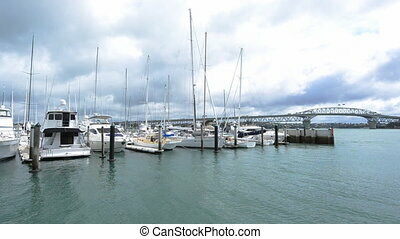 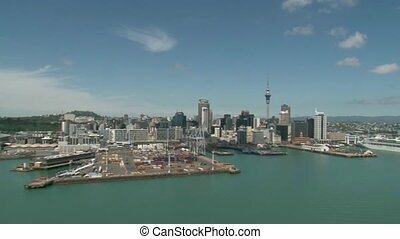 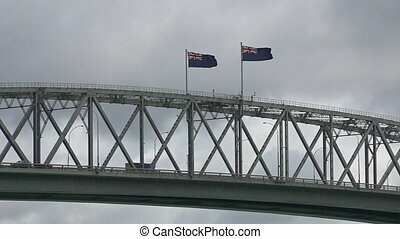 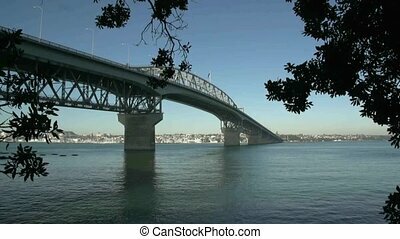 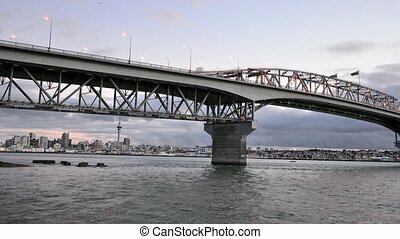 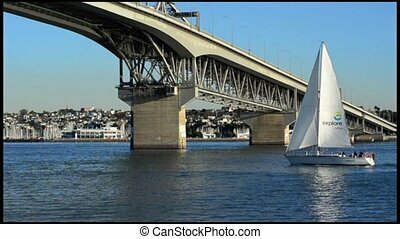 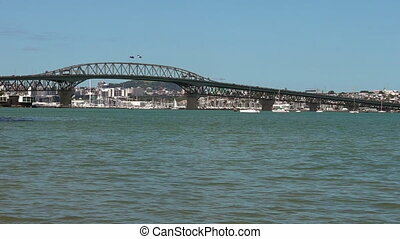 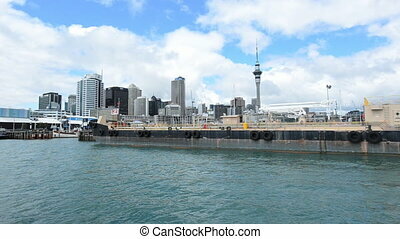 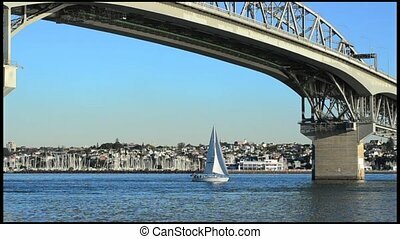 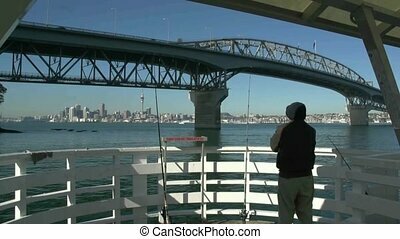 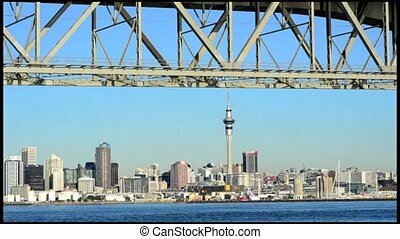 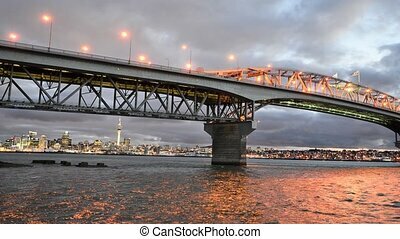 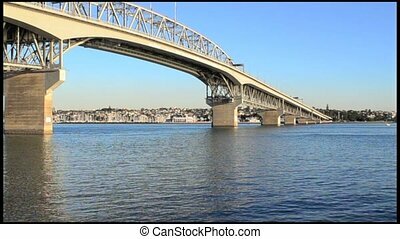 Auckland harbor bridge new zealand. 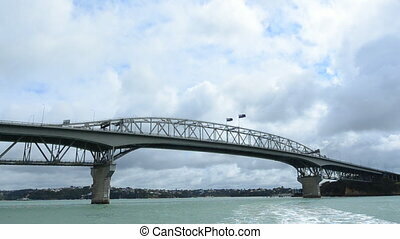 Auckland harbor bridge in auckland, new zealand. 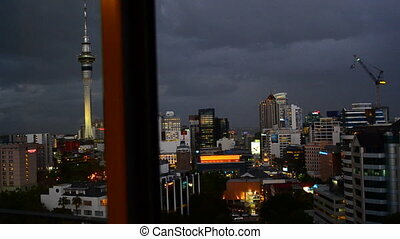 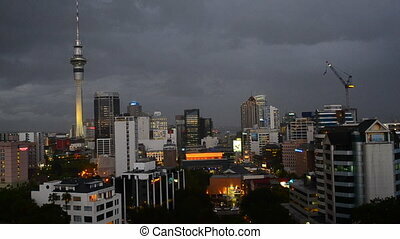 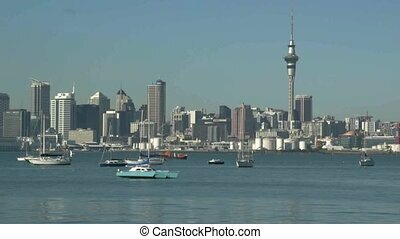 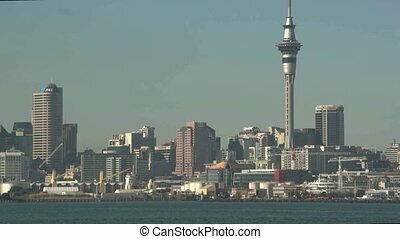 AUCKLAND, NEW ZEALAND. 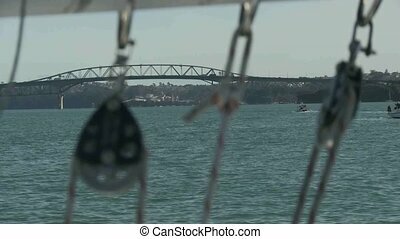 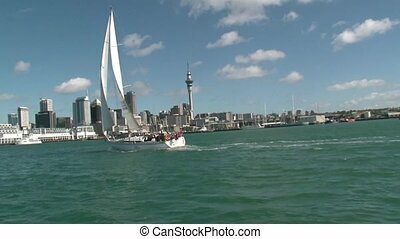 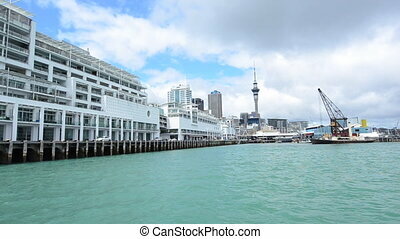 CIRCA NOVEMBER 2011. on Auckland harbour with view through yacht's lanyards towards the Auckland harbour bridge.